The requirements placed on cross-company collaboration are becoming more complex, and they demand solutions that can be adapted flexibly to match the requirements of the partners with whom data is exchanged. On the one hand, they have to support the secure exchange of data via the Internet and other communication channels. And yet, on the other, they have to be so deeply integrated in the enterprise systems (PLM, ERP, etc.) that the exchange processes and ancillary processes such as any data conversion that may be necessary can be fully automated. Flexibility must not come at the price of excessive outlay for customization. In other words, the software should be preconfigured or should be easy to configure using templates. It should also provide standardized connectors that allow it to be rapidly integrated into the corporate IT landscape. Exactly what information is to be exchanged or provided to the partners, what IT systems this information comes from and in what formats will depend on the use case in question. And so, it is not enough to simply implement a given software solution. Prior to implementation, it is necessary to carefully analyze the current exchange processes and future requirements in order to ensure that the solution can be used as efficiently as possible. Part of this analysis involves clarifying some fundamental questions, such as who is to operate the collaboration solution. Under certain circumstances, it may be advisable to use the software as a cloud-based service rather than actually installing it. PROSTEP AG already offers this type of operator model. When selecting a suitable collaboration solution, various factors that impact on complexity and cost must be taken into account. The allocation of roles during collaboration is also important. Before selecting a collaboration solution, every company should first determine its position in the supply chain and clarify the question of whether it can specify the collaboration platform or whether it has to follow the lead taken by its partners. 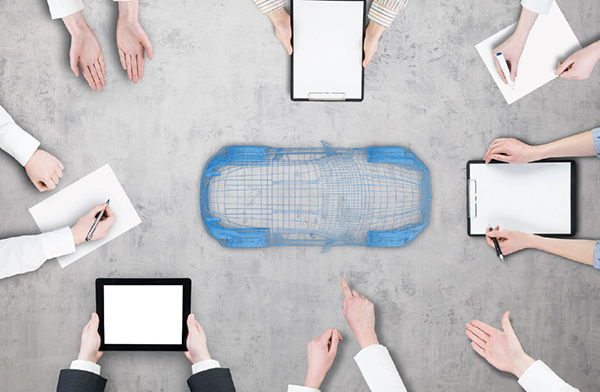 Important factors to be considered are the complexity of the products, the PLM data that has to be transferred in a given collaboration scenario, and the disciplines and domains that need to be incorporated into this scenario. It makes a difference whether simple mechanical components are to be exchanged or a complex mechatronic product with electrical/electronic systems, software and numerous variants that is subject to frequent changes. Another key factor is whether processes such as requirements or change management are to be provided with company-wide support. Most companies want a collaboration solution that requires as little manual, and thus error-prone, intervention as possible. The level of automation will depend on the previously mentioned level of product complexity but also on the processes relevant to collaboration and the question of what exactly should be done with the data. The greater the number of process steps to be automated, the more complex and time-consuming the rollout of a suitable solution will be. Another by no means insignificant cost factor is the integration depth, i.e. the level of integration in the company's own PLM landscape and possibly that of the partner(s). A high level of integration in the backend systems of both parties is needed in particular if the collaboration partners, who for example are developing a vehicle platform together, are participating as equals. As these systems in larger companies are generally highly customized, they cannot simply be integrated using standard interfaces but instead require customer-specific integration solutions. Constantly changing partnerships with short on- and off-boarding phases pose different collaboration-related challenges to those of long-term strategic partnerships where both sides are willing to invest in an appropriate collaboration solution. The greater the number of ever-changing partners a company has, the simpler the solution needs to be – with self-explanatory clients that can be rolled out easily and standardized processes that have been automated to the greatest extent possible. Collaboration today takes place on a global scale and is becoming increasingly complex. Companies that otherwise compete with each other work together on certain projects. Intellectual property protection (IPP) therefore plays a major role in the context of collaboration and is at the same time an obstacle because data protection mechanisms make solutions more expensive and involve additional operating expense. Roles and rights need to be managed, compliance rules and approvals have to be taken into account during ramp-up and ramp-down, systems have to be decoupled, and costly, time-consuming data conversions may have to be performed. The issue of the cloud is also closely related to IP protection, as is the question of whether a company wants to have its collaboration solution run in a cloud. On the one hand, this is a question of the trust placed in the cloud operator, but on the other hand, it is also a question of the effort that the company in question wants and is able to put into implementing and managing the solution itself. The more limited a company's own resources are, the more advisable it is to implement a simple, standards-based solution. On the basis of its experience from many customer projects, PROSTEP has identified different scenarios and developed best practices for implementing a suitable solution. An open integration platform and a powerful solution for secure data exchange are core components of the different collaboration solutions. Companies with partnerships that change frequently and where emphasis is placed on a high level of data security and robustness when exchanging files normally use managed file transfer (MFT) solutions. If data is exchanged over the Internet, these solutions must provide sophisticated encryption mechanisms. They should also log all data exchange processes so that companies can trace who sent which data to which exchange partner and when at any time. MFT solutions are typically designed to be implemented and operated by a company. There are no demanding requirements that have to be met on the partner side, which make fast, automated on- and off-boarding possible. In the simplest case, a web client is sufficient. 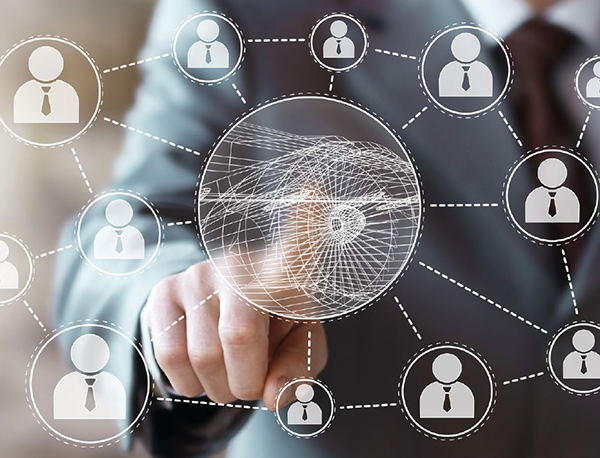 Direct integration of the respective PLM systems is recommended if companies in a long-term partner relationship regularly need to exchange large volumes of data but also want to work with their own processes in their PLM systems. This is done by directly linking their PLM systems using connectors. An integration platform controls extraction of the metadata and CAx data, its packaging, fast and secure transfer, inspection of the data quality and import into the data structures of the recipient system. If the provision of data is to be largely automated, the partners first have to clarify what data is to be exchanged. They also need to define binding rules for handling structures, materials, naming, etc. In the case of joint ventures and other long-term collaboration scenarios, a selective regular provision variant is often used. This combines automated data exchange with the protection of intellectual property. The data and documents contained in the backend systems are filtered in such a way that the partners receive only the information needed for their work. Selective regular provision is also of interest to companies that maintain sites in countries in which there is an underlying risk to intellectual property. A key requirement for the integration platform is powerful mechanisms for the finely tuned filtering of the source data down to attribute level. This allows even parts and components fitted in different products to be cleanly extracted and kept synchronized. Companies that deal with globally distributed development projects with changing partners need their own platform on which they can make the jointly used data available for collaboration in development networks. The metadata, CAD data and structure data can be extracted automatically from the backend systems, convert as required and synchronized at the click of a button when changes are made. The collaboration platform supports both secure online access via the Internet and offline processing of the data with a special client. The platform provides the project partners with all key PDM/PLM functions, including version, workflow and change management, which enable them to coordinate their work on the project extremely well. The implementation of a suitable collaboration solution plays a key role in simplifying and automating data provision. 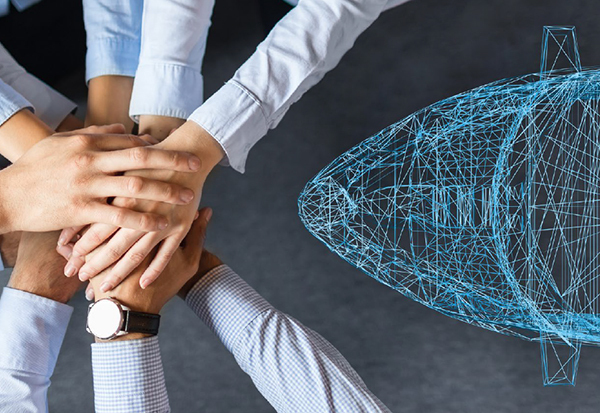 In the form of a collaboration platform, it for the first time provides partners with PDM/PLM functions for joint work on a project that they had previously only known in their own backend systems. It is therefore making an important contribution to improving efficiency in distributed development projects. But it is equally important that the partners harmonize their collaboration processes more closely. When analyzing and optimizing their processes, they are able to take advantage of the support of experienced consultants, who are familiar with a variety of different collaboration scenarios.